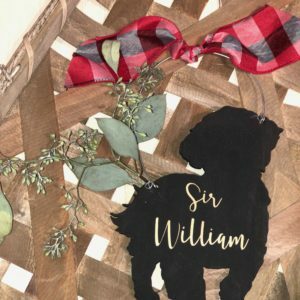 Personalized Ornaments | Wood & Wine Design Co. 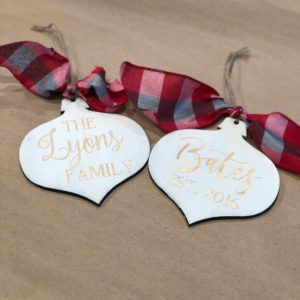 These beautiful, hand-made ornaments are painted. and feature gold leaf accents. They are approximately 5 inches tall. Join our mailing list and stay up to date with everything Wood & Wine Design!